Anyone who regularly washes a car knows the biggest headache is drying it off before the dreaded water spots appear. Save yourself some time, effort and money with our pick of the best car-drying cloths and chamois. 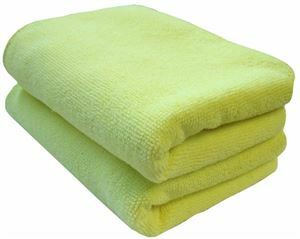 Available in 5 and 7 sq ft versions, this microfibre towel from Kent Car Care can perform the impressive feat of absorbing eight time its own weight in water, which should be more than enough to clean most cars. It's also designed to be lint-free and suitable for clear-coated paints, and at under a fiver for the smaller size it's something of a bargain too. If you prefer the traditional approach to car cleaning but don't like the idea of using an animal product in the process, Kent Car Care's synthetic chamois could be just the thing for you. 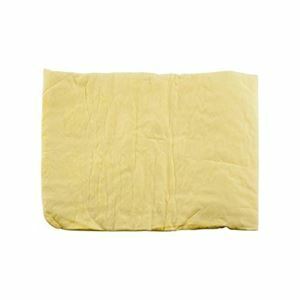 Available in regular and large sizes, the manufacturers say it performs just as well as a leather chamois but can be washed with detergent and won't fade or fray. It's excellent value too, whichever size you choose. 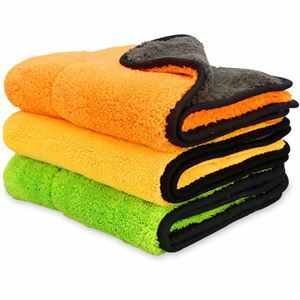 A certified bargain from iTavah, this set of three microfibre cloths should give you enough coverage to tackle a complete cleaning job. Each cloth comes in its own colour with a contrasting back so you can separate cloths for different tasks and products, and with a 840gsm thread count they are extra bouncy and absorbent without the fluff. They also come with a 15-month warranty despite the low price. 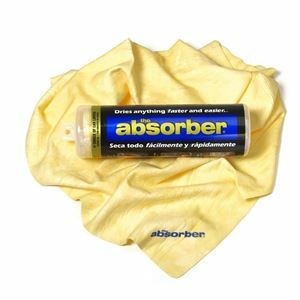 One of the more expensive offerings in this list, The Absorber from Cleantools nonetheless has the specification to make it a tempting option. It's a massive 68cm x 43cm for starters, and Cleantools says it can absorb 50 percent more water than a conventional chamois but dries 20 times faster. You can even have it one of six colours. The wildcard entry in this list is this Flexy Blade from Kent Car Care. If you've never tried one before, the Flexy Blade is a flexible rubber blade housed in a plastic handle that you drag across the surface of your car, taking the water with it. 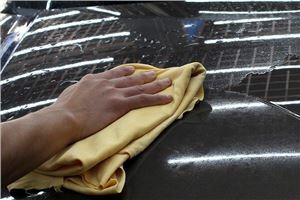 You can sweep your car dry in a matter of minutes, but they need to be kept absolutely clean and free from dirt to avoid scratching your paint - but the same applies to cloths and chamois too. 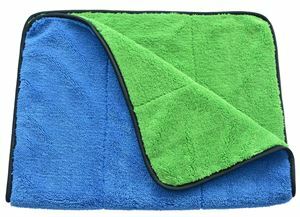 You can never have too many cleaning cloths, although this pack from Clay Roberts does its best. For a little over a tenner you get six cloths, each one a massive 78cm x 60cm to tackle the biggest jobs. A lint-free promise and the fact that they are machine-washable means they will be keeping cars clean for years. For anyone who demands the traditional approach, this real leather chamois from Voso is one of the best examples. It's available in two sizes but the larger 60cm x 90cm version is only £1.50 more than the smaller one, and is suitable for a variety of surfaces. 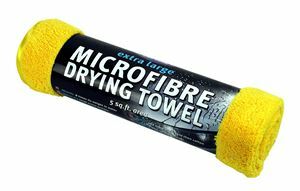 A straightforward microfibre cloth from Sinland, this particular offering has a high 720gsm thread count for high performance and can tackle drying, polishing and buffing duties thanks to the polyester and polyamide mix. Sinland also says it can absorb up to 10 times its own weight in water, which will come in handy. 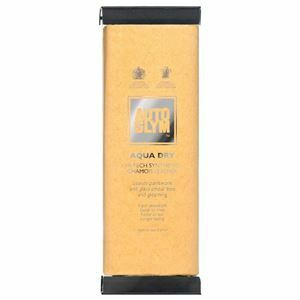 The car care experts at AutoGlym have a product for every situation, and their Aqua Dry Chamois is another quality offering. Its synthetic construction means it is an animal-free product, and although the dimensions of 24cm x 34cm are smaller than some, its high performance makes it suitable for tackling bodywork and glass areas and AutoGlym says it outperforms traditional leather chamois. 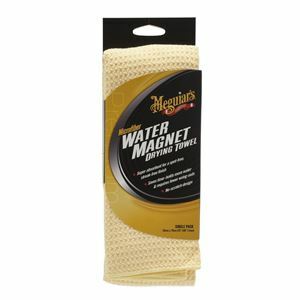 Another brandname you can rely on to provide effective, high-quality products, this microfibre cloth from Meguiar's is a sizeable 76cm x 55cm to tackle bigger jobs. Meguair's says it delivers twice the absorption capability of conventional towels and has a distinctive texture to increase the surface area and speed drying time.